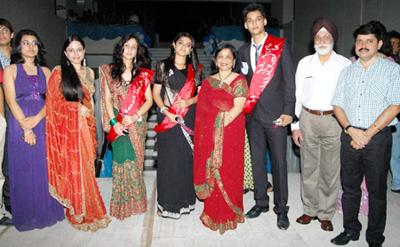 Freshers Party is an event held by seniors to welcome the juniors to the institution. In today’s institutes where ragging is banned, fresher’s parties is highly important to get to know each other. It also is an arena where the students can display their organizing capabilities right from raising funds for the program to arranging the stage and holding the events and cultural programs. Yoovite.com has a unique online invitation tool by which you can invite your college mates, teachers and other chief guests to the fresher’s party. Make sure that there is an organizer responsible for coordinating the itinerary of the events and getting more participants. The core committee is the one that should carry out all the arrangements, fresher party anchoring and allied activities including invitations. Freshers party is an event totally organized and carried out by students and hence it should exhibit enormous organizational capabilities. You can include various activities in the program such as dances, group songs, skit, poetry, freshers party speech and individual performances. You can hold songs from college musical group if there is any. You can conduct a small talent show to choose the Mr. and Ms. Fresher. You can have your teachers and chief guests as judges and determine who is the most talented in terms of personality, on stage performance, cultural activities etc. 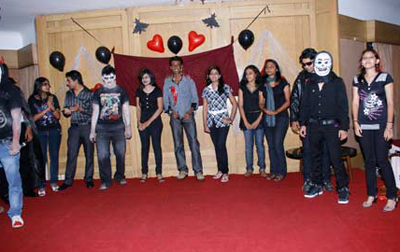 This type of event will take away the shyness that many fresher students have in mind. Another funny event that you can hold on the freshers party is Get a Date. It is a fun activity in which the juniors must get a date from one of the members in the seniors’ batch. And once they find a date, the pairs must come on stage and present something like dance or song. There is no particular dress code required for this event. Any decent casual dress is more than enough. However, if there is any formal event such as lighting lamps and the like, then traditional attire might be required. A theme is very important for the fresher’s party. It can be Bollywood, Hollywood, Local Cinema, Music, Hawaiian, and Egyptian and so on. If you want the participants to come in themed dresses, you need to put that in the Yoovite invitation. You can hold a nice party after the events have completed. You can arrange food in the nearby auditorium or have the entire collection of events held in a famous hotel. The venue should be decorated and seats arranged properly. Further, if you want you can arrange a DJ for background music while people enjoy the food. You can also arrange a dance floor where people can dance. You can have a grand rooftop dinner that offers a delicious assortment of various dishes. A buffet dinner would be ideal for the party. Try to avoid alcohol as much as possible. There are some colleges that do allow it but generally it is not a good practice.